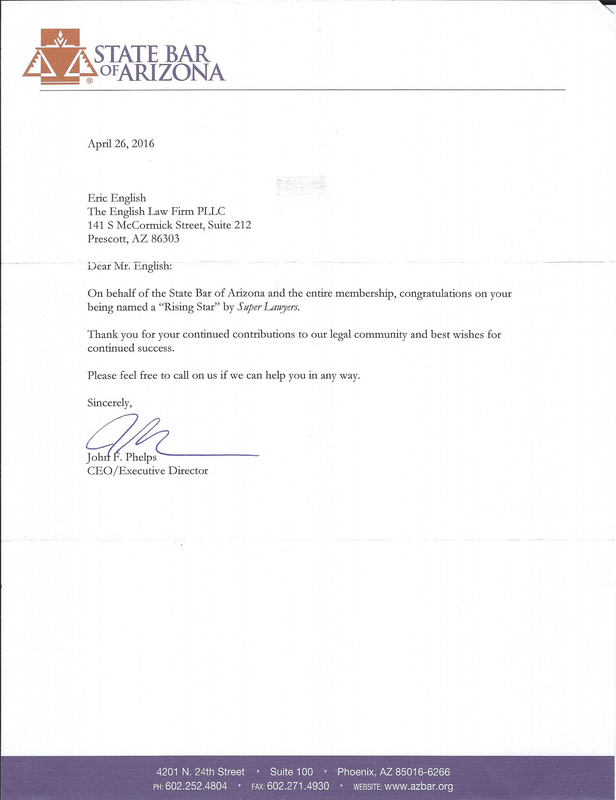 In April 2016, Mr. English was named a “Rising Star” by Super Lawyers. Only 2.5% of lawyers in the state were selected. Super Lawyers uses a multiphase selection process that includes nominations, independent research and peer evaluations. To be eligible for inclusion in Rising Stars, a candidate must be either 40 years old or younger, or in practice for 10 years or less. 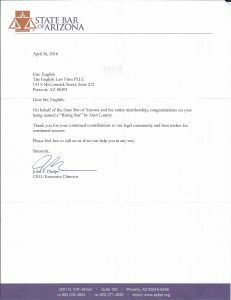 It is an honor to be named to the 2016 Southwest Rising Stars.